Appointments may be cancelled without charge before close the day prior. 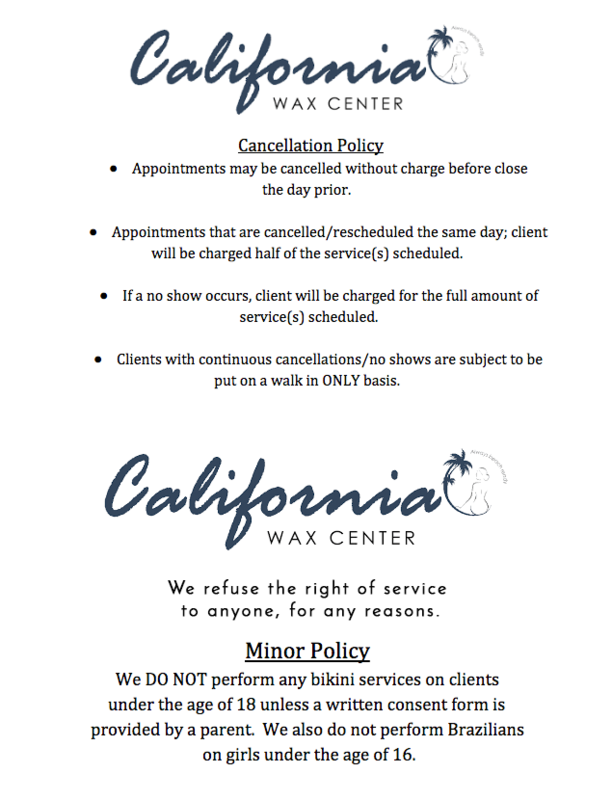 Appointments that are cancelled/rescheduled the same day; client will be charged half of the service(s) scheduled. If a no show occurs, client will be charged for the full amount of service(s) scheduled. Clients with continuous cancellations/no shows are subject to be put on a walk in ONLY basis. We refuse the right of service to anyone, for any reasons. We DO NOT perform any bikini services on clients under the age of 18 unless a written consent form is provided by a parent. We also do not perform Brazilianson girls under the age of 16.